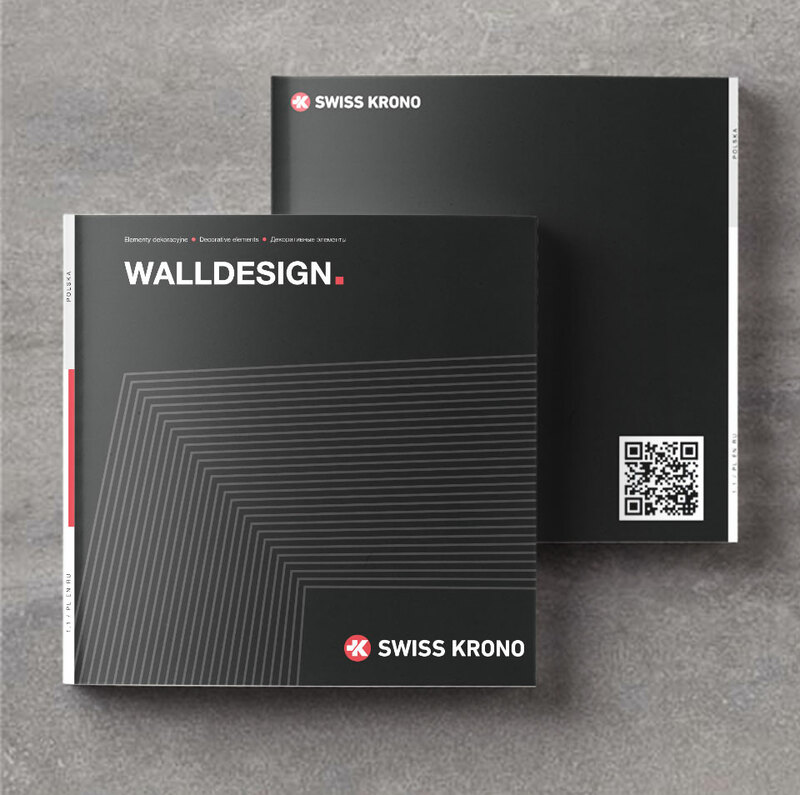 We have developed the strategy for communication and launching campaign of the new SWISS KRONO product – WALLDESIGN decorative elements. 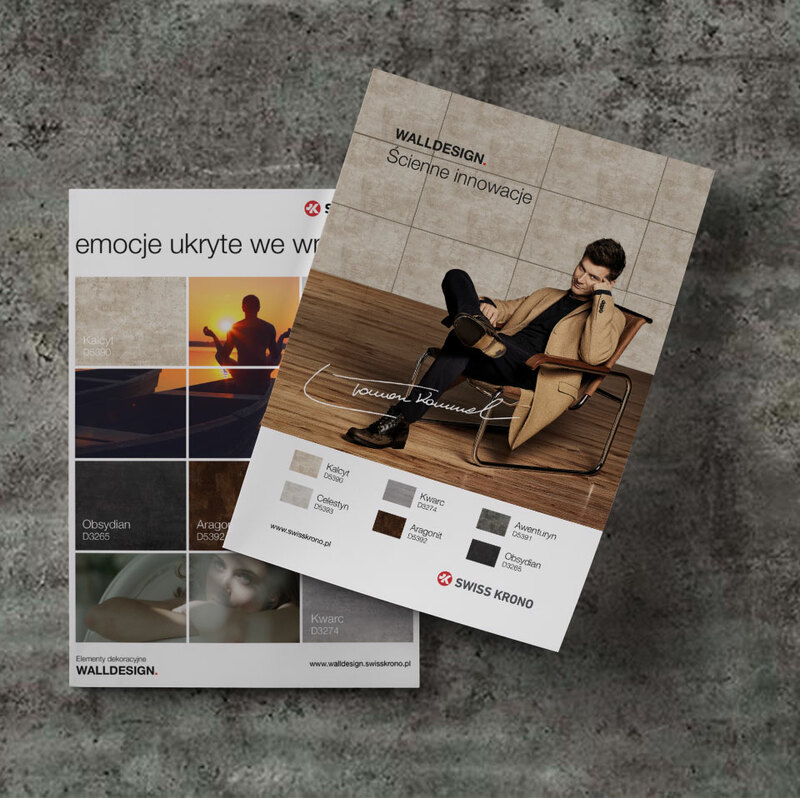 For SWISS KRONO, one of the biggest manufacturers of wood-based panels and products in Poland, we have developed the branding, naming as well as communication strategy for the new product – WALLDESIGN decorative elements. Within the promotional campaign, we have prepared BTL and digital materials. We also created promotional materials and press advertisements in cooperation with brand ambassador – Tomasz Kammel. 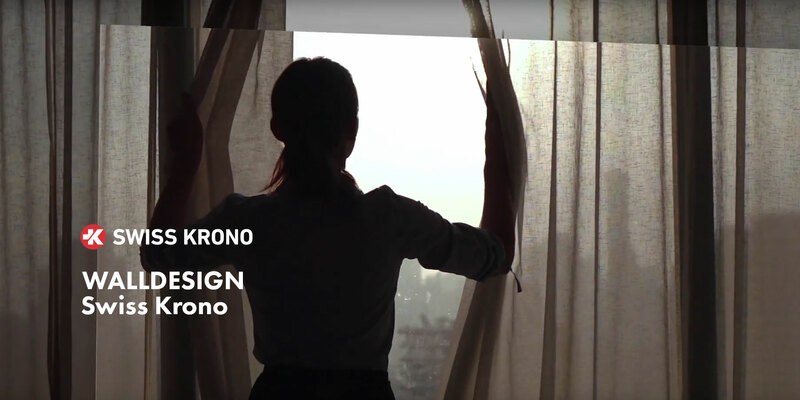 SWISS KRONO as a brand follows the latest trends as well as responds to the needs of its clients and for this reason, the company decided to introduce a new product – WALLDESIGN decorative elements. Our task involved not only creating the name of the product and its logotype, but in particular developing WALLDESIGN communication strategy and launching campaign. 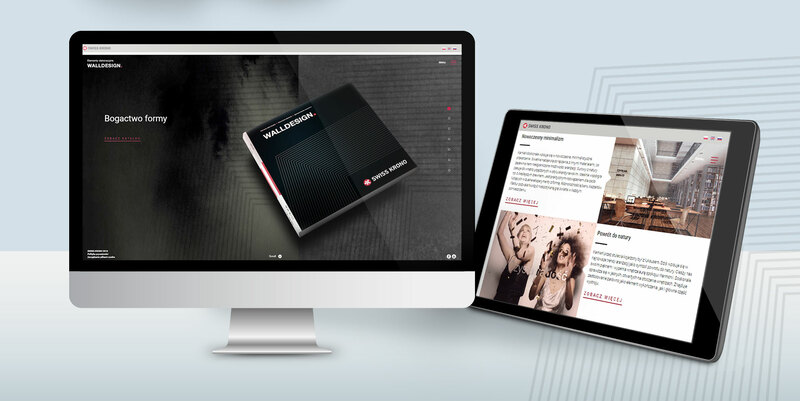 Within the framework of promotional action of the new SWISS KRONO product, we designed product catalogue, dedicated microsite, POS materials as well as organized the competition in cooperation with Alina Szklarska – Design Your Life blogger. Decorative wall elements constitute a fresh solution which amazes with its functionality, aesthetics as well as top level design. In order to emphasize high class of the new SWISS KRONO product, while developing its branding and naming we were inspired by gemstones. We referred to the noble side of nature, thanks to which unique features together with extraordinary character of the new line were emphasized. 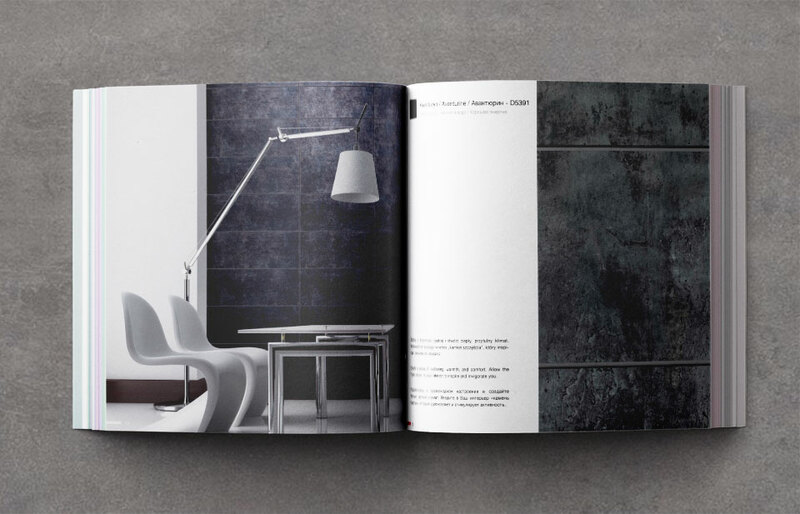 In order to show the clients the unique character of the new offer, we developed a clear and modern catalogue of WALLDESIGN products, choosing color scheme matching the latest trends as well as including inspiring content. We have also prepared dedicated microsite, which presents the entire collection of decorative elements, product catalogue in the online version together with training materials. 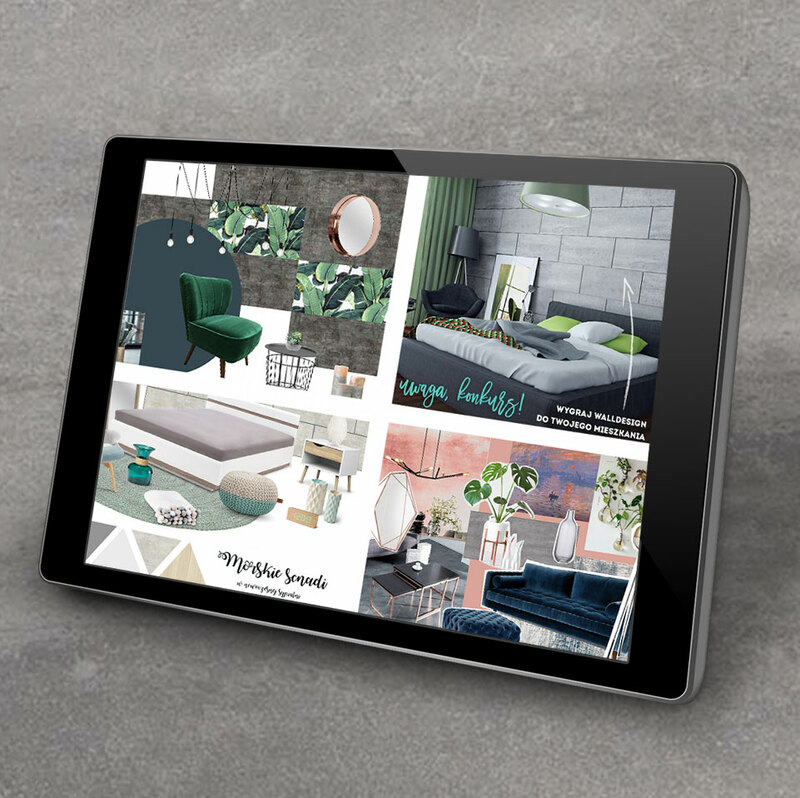 While implementing the developed communication strategy of the new SWISS KRONO product, in cooperation with Alina Szklarska – owner of the Design Your Life Blog – we organized the “Become a WALLDESIGNER!” competition. The task for participants was very creative – they had to create a moodboard presenting the concept for changes in their own flat with the use of WALLDESIGN decorative elements. The competition enjoyed big interest and the submitted works represented very high level. Three participants who prepared the best collages won the WALLDESIGN set to be used while finishing their wall. WALLDESIGN is distinguished by extensive color scheme as well as diversified shades and textures which will satisfy the preferences of even the most demanding clients. In order to present this offer to all those searching for innovative and functional solutions, we prepared two promotional videos. The image film demonstrates that interior design relies more and more often on materials which influence not only the sight, but also other senses, while the product video presents the entire collection of WALLDESIGN decorative elements.